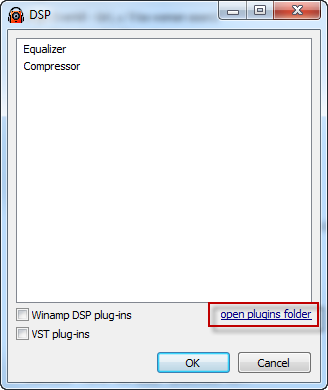 How to use Winamp DSP plugins in RadioBOSS. 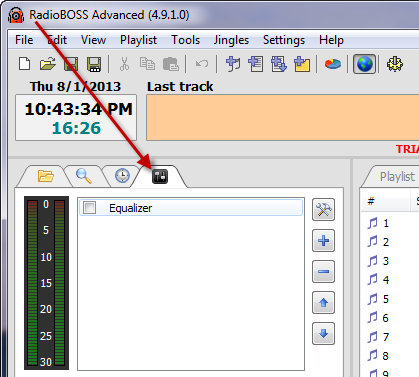 Almost any Winamp DSP plugin can be used with RadioBOSS. 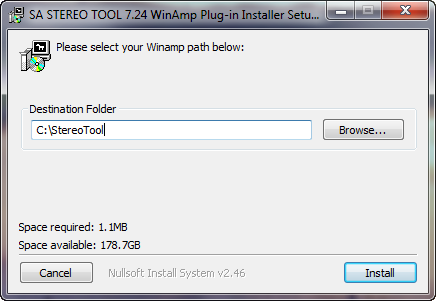 This example show how set up StereoTool plugin (http://www.stereotool.com/). 3. Run RadioBOSS. Select FX tab on the left. 4. Click the "+" button to add a new DSP. 6. Copy dsp_stereo_tool.dll from C:\StereoTool to that folder. 7. 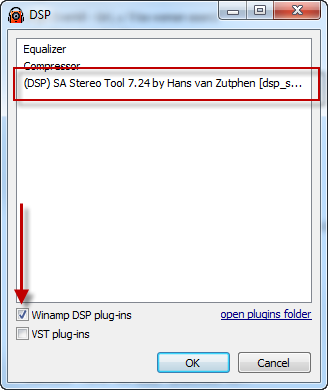 Check the "Winamp DSP Plug-ins" checkbox - you'll see Stereo Tool in the list. 8. 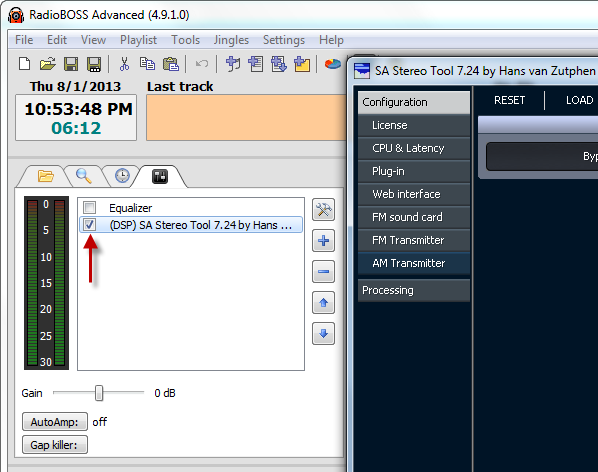 Select the Stereo Tool plugin in the list and click OK.
9. Turn on the plugin in the DSP list. Stereo Tool configuration window will appear. I usually get static issues when I try to run StereoTool, probably because of my system/latency issues (it happened on SAM, too). I was wondering what RB users tend to use to sound best with RB, and if anybody knows, what the best enhancing plugin is for slower connections (DSL). Plugin doesn't depend on connection - it depends on PC configuration, memory and CPU. If you see that sound is corrupted while using Stereo Tool then try increasing latency in StereoTool's settings. Also try increasing RB's playback buffer size (Settings->Playback->Devices->Main). Thank you; I will try. I have an additional question or two, here. Does StereoTool set in that main output process both music files and your mic input? Is there any way to use any plugin just for the mic input instead of just the "compressor" and "equalizer" there? Technically it's possible, but temporarily this feature has been disabled for the reasons of stability. Also some plugins don't "like" to be loaded twice in the same app. If you don't have "Output to encoders only" then StereoTool (assigned in RB's main window) will process both music and mic. Without this option, ST will be applied for music only. I have found that JB Broadcast VST works better than any plug in I have ever used. It's like the Ronco of VST Plug ins. just Google it and then set it and forget it. Focusrite has a good set of plugins, they are $99 but they are pretty good they have a demo also I wish there was a separate way to add plugins just to mic and not everything. Having trouble getting VSTs to work but you were right about static and stuff; got a new more powerful computer and now no popping with Breakaway Live. That's what it's all about powerful PC's yeah processing power and ram yup.